This is one of the Music CD's that I have worked on - design and layout. I hope other musicians will consider using me as their graphic artist. 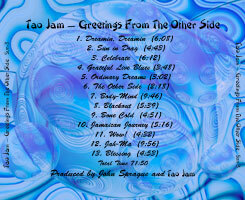 Tao Jam is an improv rock band from Western MA. They've been jamming and playing around the area at parties, cafes, and various celebrations for almost six years. 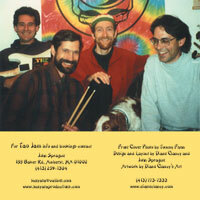 Their style features original groove tunes in the heritage of such bands as Traffic, and The Grateful Dead. 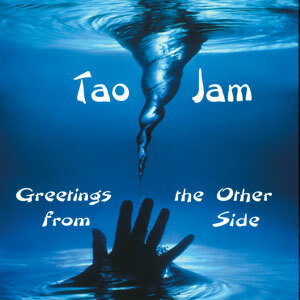 Recently they changed their name from the Other Side to Tao Jam and have just released this first CD, slyly titled Greetings From the Other Side. Please check out their website to buy the CD and find out more about this great group.